Ok....I think that is an understatement. I've written about it here & here. When is my birthday you ask? The same day as Hilary Duff! It's sad that I'm proud of that. I'm gonna be 21 this year guys, so there is no excuse. Memorable at the very least. In the past I've almost ALWAYS had themed parties. I feel like the only way I can throw a party, is if it has a theme. 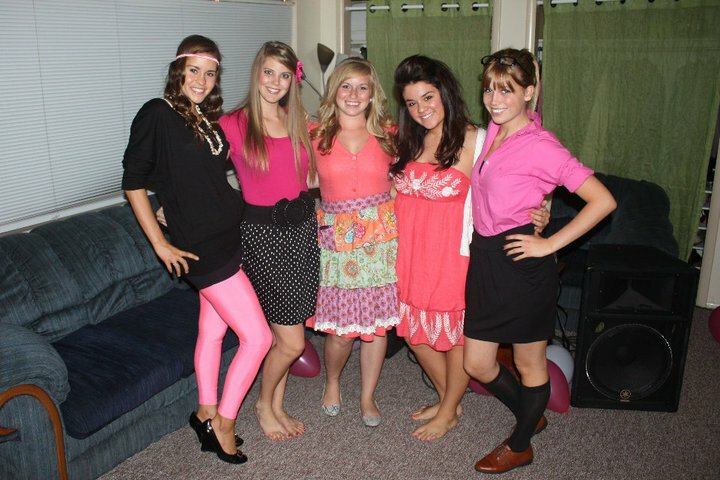 My 19th birthday was a Barbie & Ken dress-up dance party. 18th was a surprise party at the dorms cafeteria, decked with party hats & balloons. 17th birthday was a huge Mexican Fiesta. 16th was a Halloween dance party. I've been completely stumped on what to do. What about a smores bar?? A theme hasn't just come to me like it has in years past. Plus I've been so tired as of late, that...dare I say it? I've not even been very excited for my birthday. Am I getting to old for parties?! Should I even have a party!? I'm at such a loss here my friends. Someone puuuhhllleeeasssee spark my creativity. Seeing as how my brain is already dead from the long 2 weeks worth of school. As far as themes....yikes, I dunno! I'm not very creative. What about a Disney Princess themed party? Girls have to come dressed like a princess and the guys like a prince? A 50's sock hop party? (gosh that sounds lame now that I think about it...I remember going to a 50's sock hop dance when I was in Girl Scouts lol) Or a TV show themed party - everyone comes dressed like characters from their favorite TV show? Blasphemy!!! Birthdays Are the best. I remind my husband all year how many months, weeks then days before my birthday!! (we even celebrate half birthdays in our house!) 21!! How exciting! 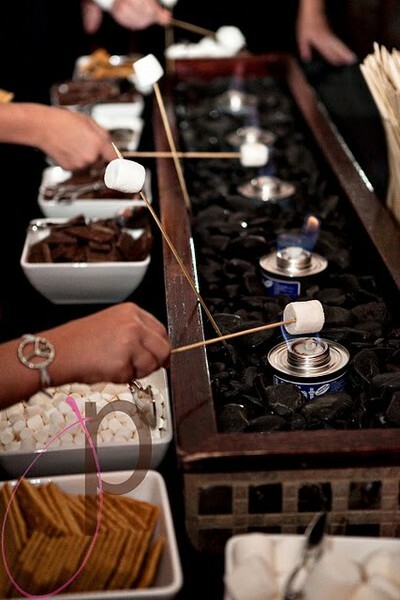 I think the s'mores bar idea is so so fun! I have wanted to try one of those for a long time. So, there is a theme I have kind of been obsessing over for awhile now and I just haven't been able to do it (and my day is in Dec so prob won't happen then) silly phone won't let me post the link to it so I'll send it to u another way! It would be so fun!! You keep hinting at it so maybe i'll ask the obvious question, is your eggo preggo? you're never too old! What if you did something like a "Mad men" theme. dress up like 50s housewives and stuff like that. people will love it! I love the smores idea! September 28th is my birthday too! You should DEFINITELY still have parties - parties are the best thing EVER! What about a celebrities theme? Dress like a celebrity and have a fake red carpet and stuff ;) ? Fake champagne and paparazzi photo booth? Heehee.